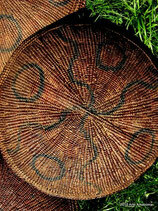 Baskets and Tribal Arte-SHOP - ARTE AMAZONIA provides a global voice through art for the indigenous cultures of the Amazon. 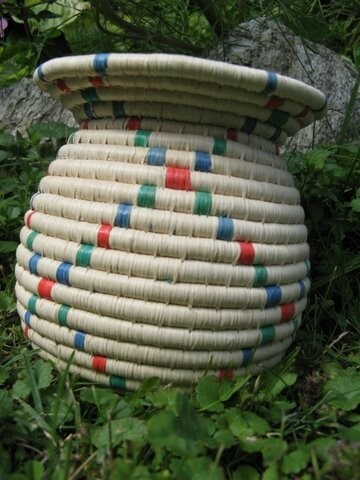 Displayed is a round Yanomami Shoto (shallow basket) which is colored with onoto and then decorated with charcoal with various geometric designs. 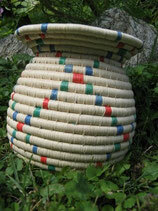 The designs on this basket includes circles with wavey lines. 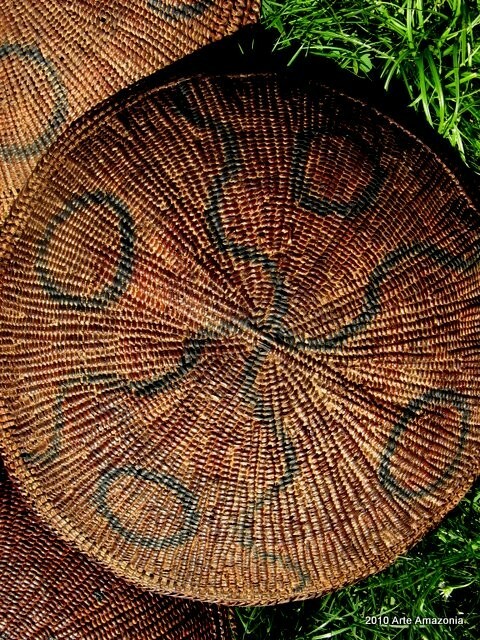 This beautiful Shoto was handmade by the women of the Yanomami tribe from the Venezualan, Amazon. 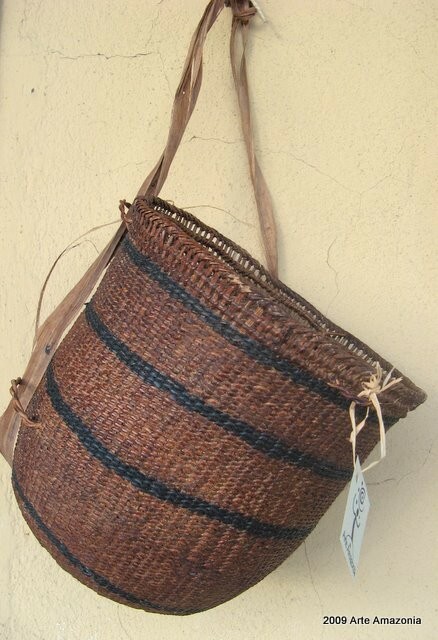 Authentische Yanomami Korbschale aus dem Süden Venezuelas. 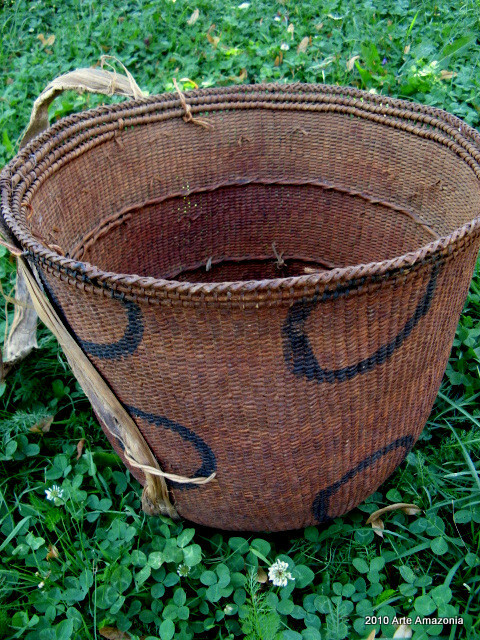 Ein von Frauen hergestellter Korb, in der Sprache der Yanomami Shoto genannt, geflochten aus Mamure Pflanzenfaser (Heteropsis spruceana), gefärbt mit Pflanzenfarbe Onoto (Bixa orellana) und anschliessend in traditionellen Muster mit Kohle bemalen. 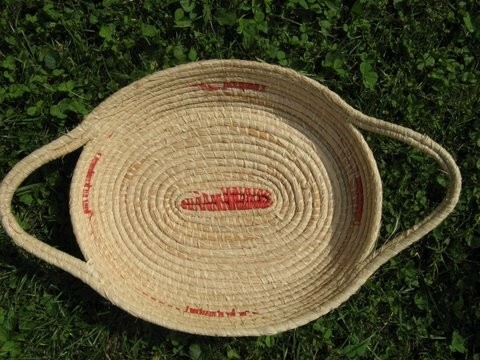 Dieses wunderschöne Sammlerstück im Topzustand, wird Ihnen viel Freude machen. 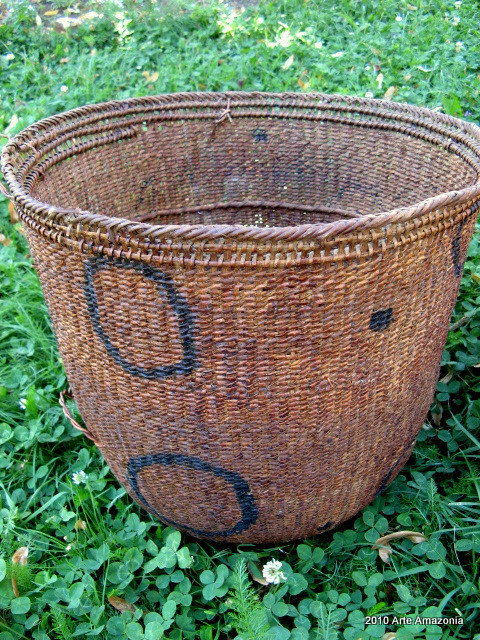 Displayed is a round Yanomami Shoto (shallow basket) which is colored with onoto and then decorated with charcoal with various geometric designs. 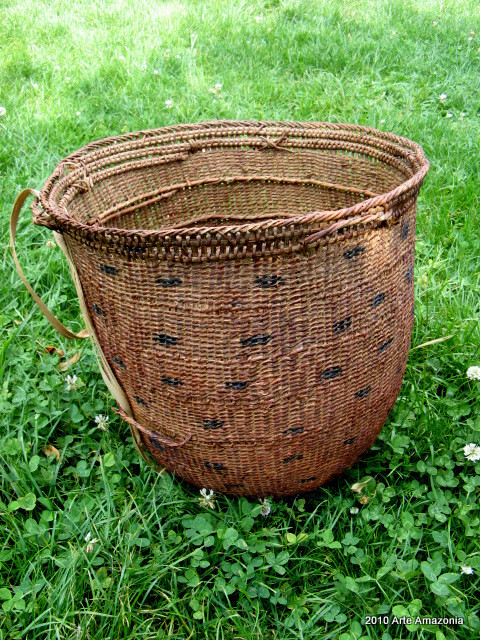 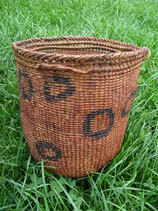 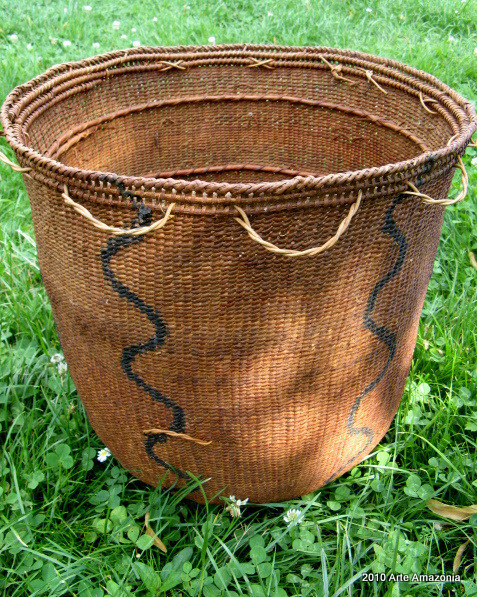 The designs on this basket includes criss crossing lines in the center with small waves on the end. 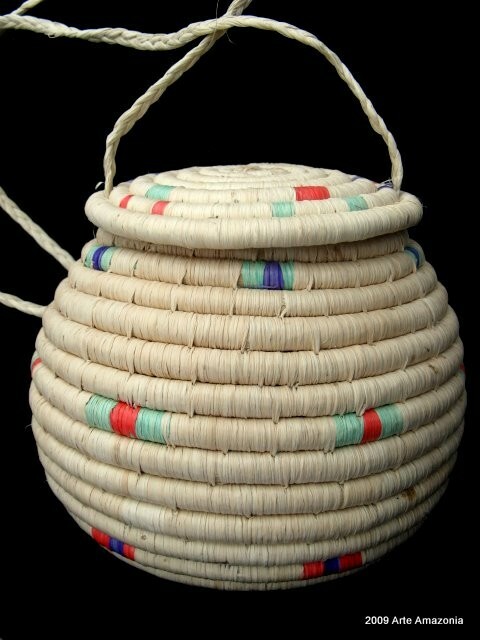 This beautiful Shoto was handmade by the women of the Yanomami tribe from the Venezualan, Amazon. 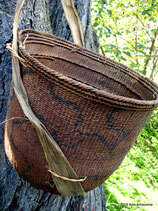 This is a beautiful carrying basket (Wii) of the Yanomami with sling. It is made of mamure palm fiber (Heteropsis spruceana), colored with a plant color called onoto (Bixa orellana) and then decorated with charcoal with various geometric designs. 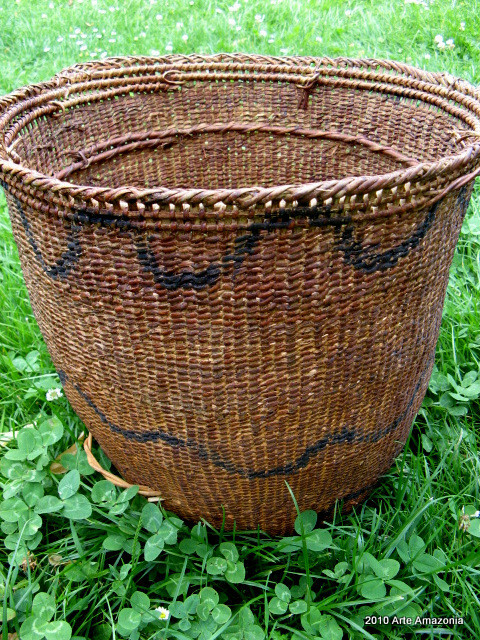 The designs appear as lines on this basket. 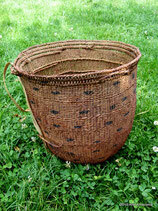 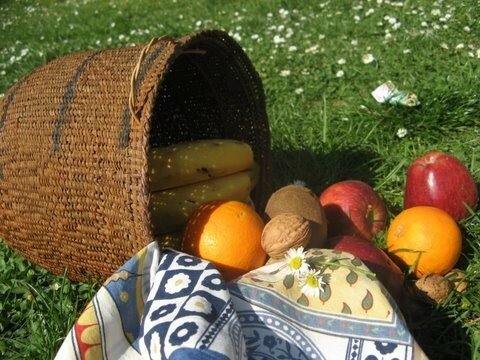 It is an authentic basket made by the women of Yanomami tribe living in Venezuela. 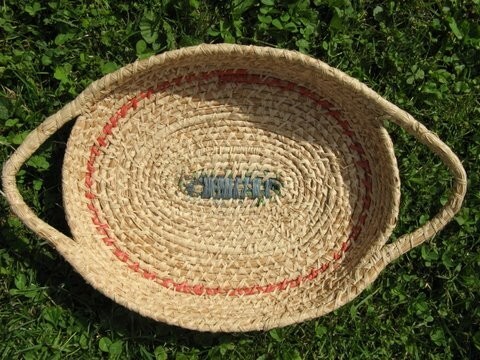 Authentische Yanomami Tragkorb (Wii) aus dem Süden Venezuelas. Ein von Frauen hergestellter Korb, in der Sprache der Yanomami Shoto genannt, geflochten aus Mamure Pflanzenfaser (Heteropsis spruceana), gefärbt mit Pflanzenfarbe Onoto (Bixa orellana) und anschliessend in traditionellen Muster mit Kohle bemalen. 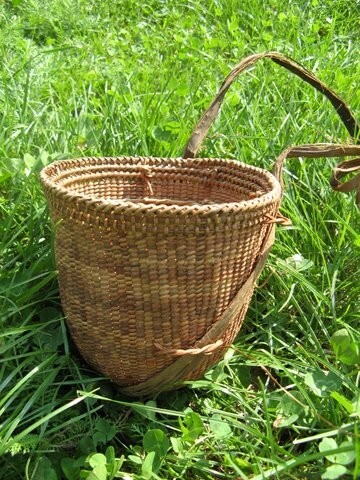 Dieses wunderschöne Sammlerstück im Topzustand, wird Ihnen viel Freude machen. 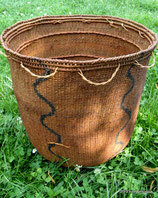 This is a beautiful carrying basket (Wii) of the Yanomami. 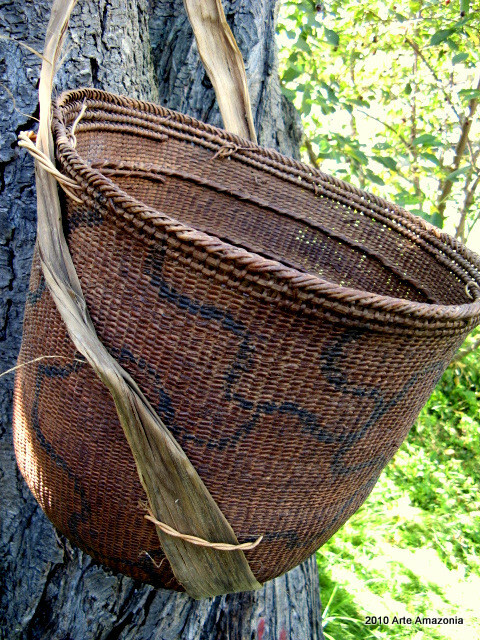 It is made of mamure palm fiber (Heteropsis spruceana), colored with a plant color called onoto (Bixa orellana) and then decorated with charcoal with various geometric designs. 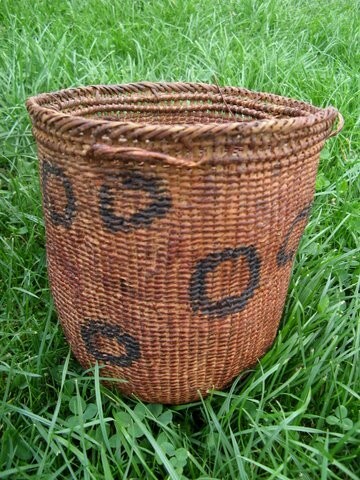 The designs appear as lines on this basket. It is an authentic basket made by the women of Yanomami tribe living in Venezuela. 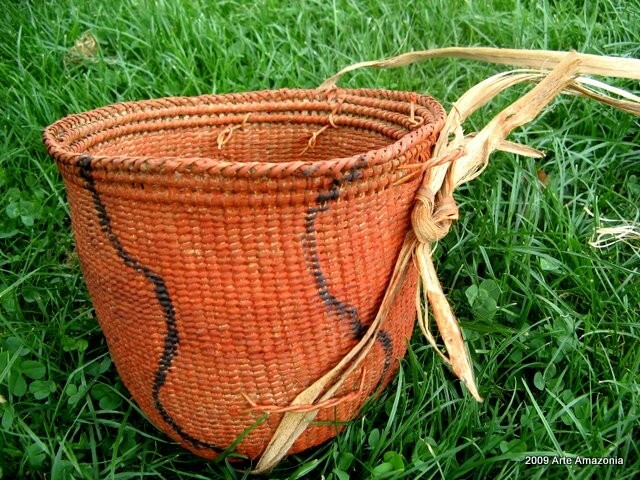 This is a beautiful carrying basket (Wii) of the Yanomami with sling. 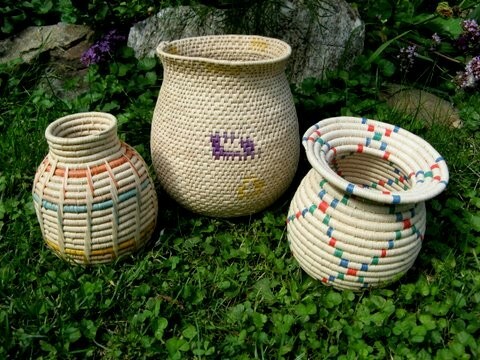 It is made of mamure palm fiber (Heteropsis spruceana), colored with a plant color called onoto (Bixa orellana) and then decorated with charcoal with various geometric designs. 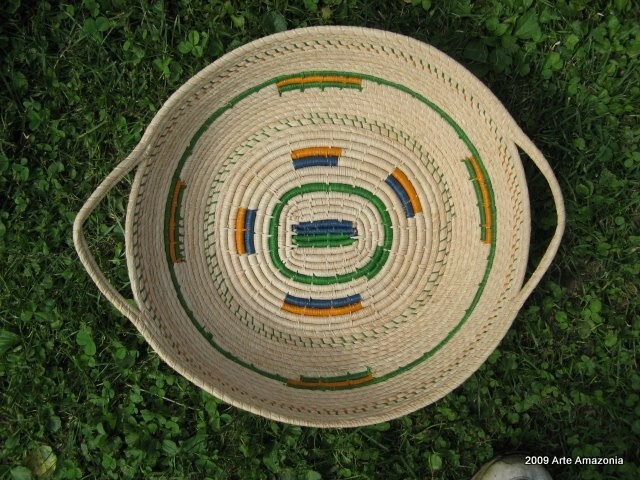 The designs appear as lines. 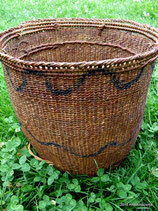 It is an authentic basket made by the women of Yanomami tribe living in Venezuela. 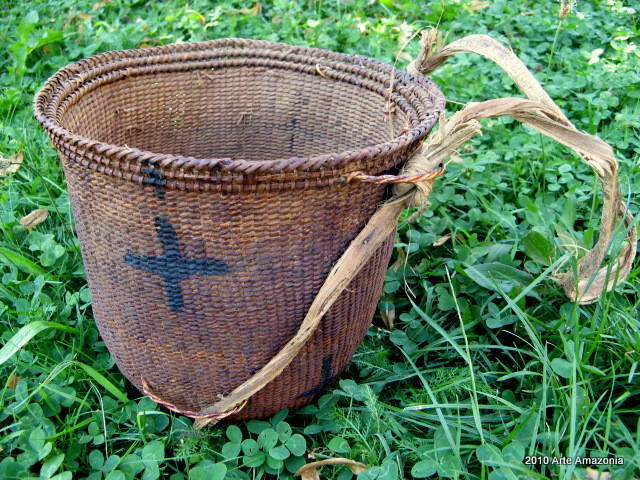 Authentische Yanomami Tragkorb aus dem Süden Venezuelas. 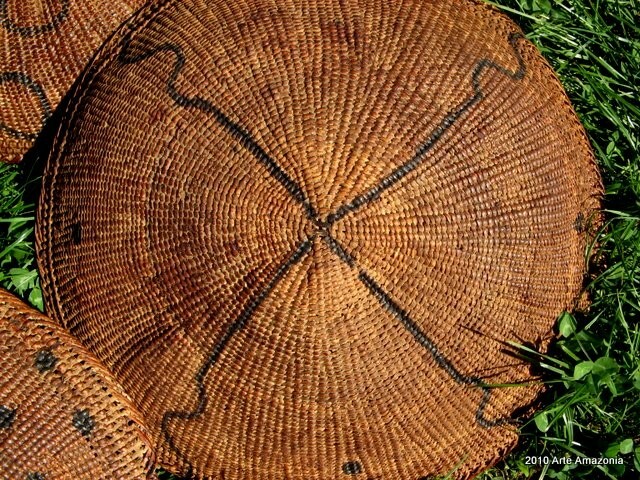 Ein von Frauen hergestellter Korb, in der Sprache der Yanomami Wii genannt, geflochten aus Mamure Pflanzenfaser (Heteropsis spruceana), gefärbt mit Pflanzenfarbe Onoto (Bixa orellana) und anschliessend in traditionellen Muster mit Kohle bemalen. 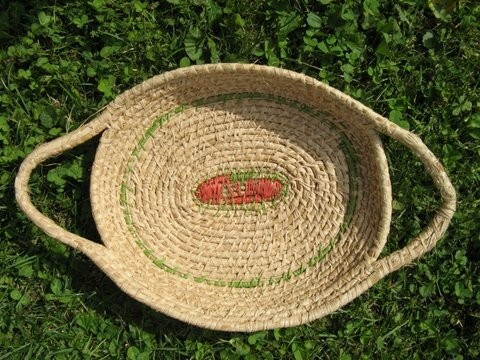 Dieses wunderschöne Sammlerstück im Topzustand, wird Ihnen viel Freude machen. 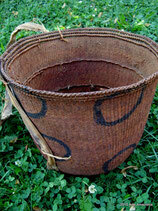 This is a beautiful carrying basket (Wii) of the Yanomami. 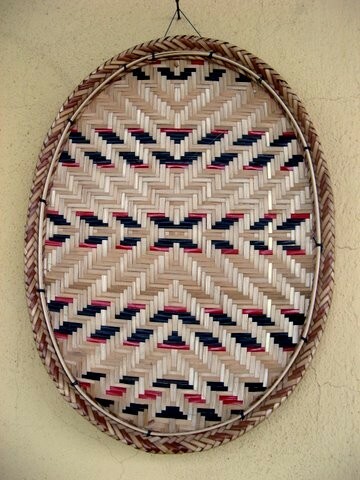 It is made of mamure palm fiber (Heteropsis spruceana), colored with a plant color called onoto (Bixa orellana) and then decorated with charcoal with various geometric designs. 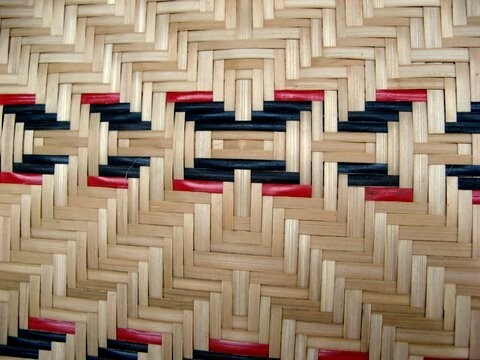 The designs appear as lines. 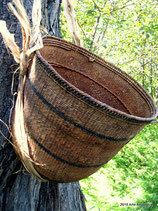 It is an authentic basket made by the women of Yanomami tribe living in Venezuela. 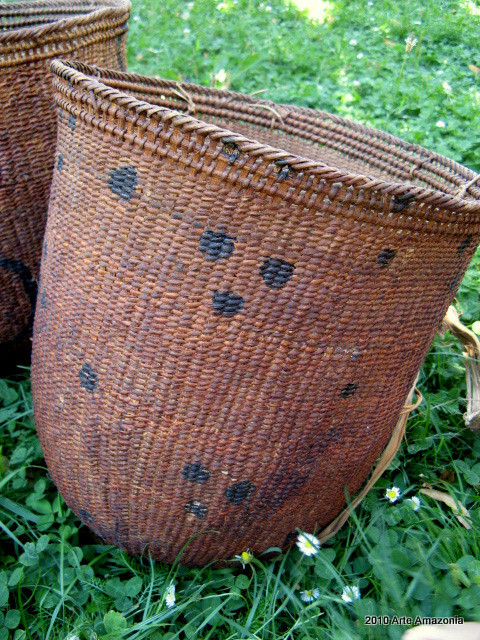 SOLD OUT-Guapas are used to gather and store food. 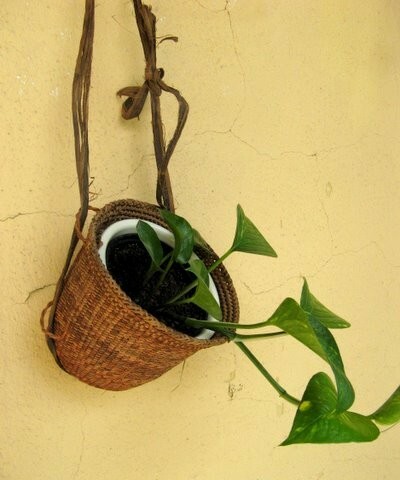 This beautiful guapa is from the Amazon of Venezuela. 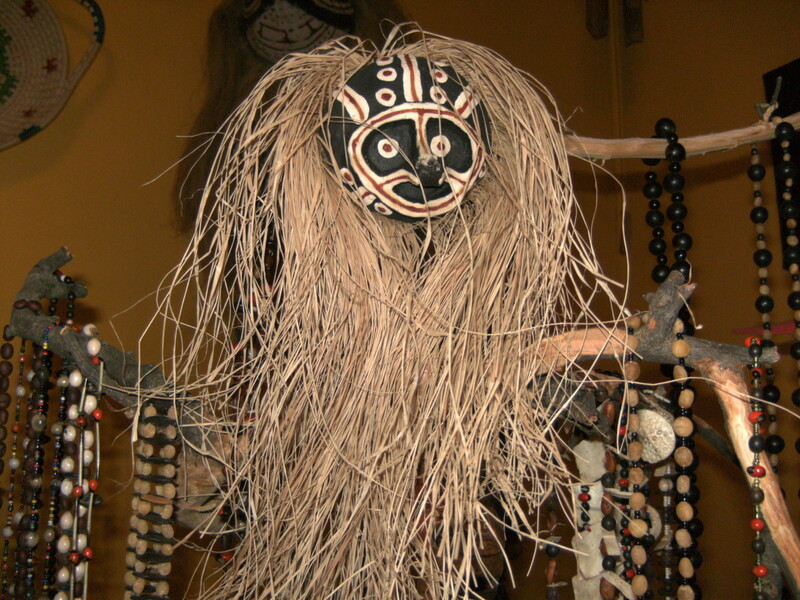 Maracas are traditionally an instrument of the shamans. 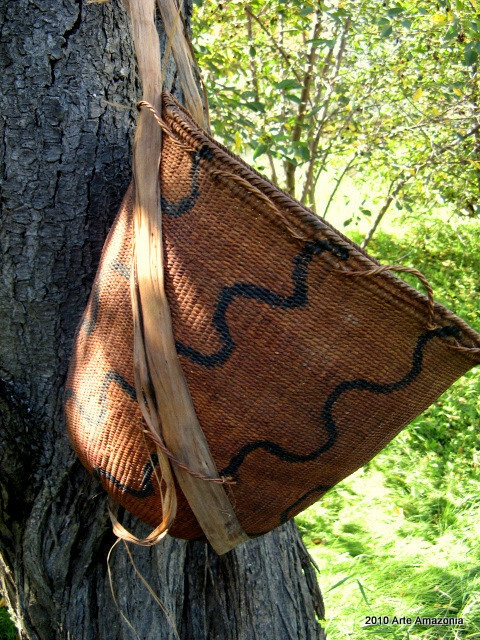 This large Amazon calabash is made from dried fruit of the Tapar tree, which is then carved with geometric patterns or figures. It is then filled with seeds or stones and secured with a handle and string. 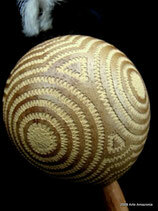 SOLD OUT-This pair of Amazon maracas are handmade from Venezuela. 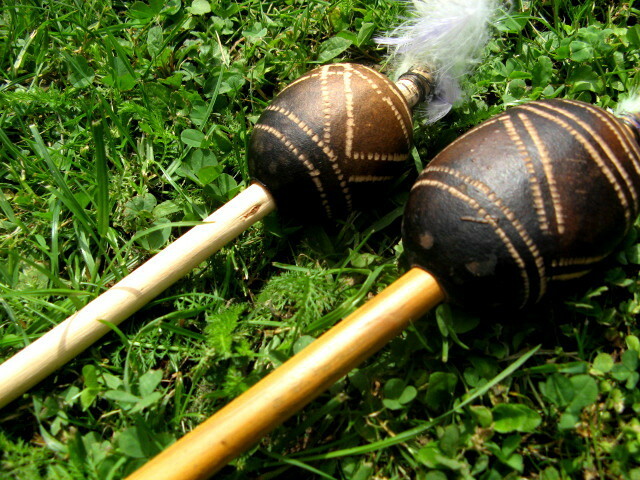 Maracas are traditionallyan instrument of the shamans. This large Amazon calabash is made from dried fruit of the Tapar tree, which is then carved with geometric patterns or figures. 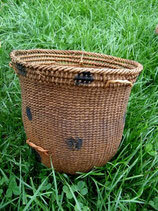 It is then filled with seeds or stones and secured with a handle and string. 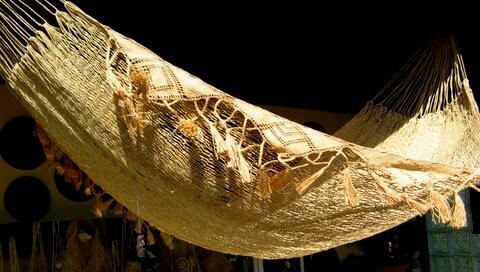 This beautiful hammock was handmade in the Venezuelan, Amazon. 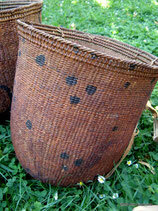 It is made from moriche palm fiber and very durable. 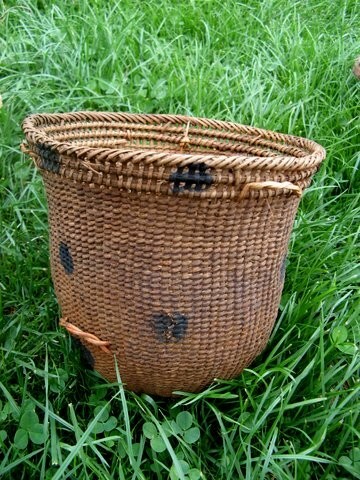 A rare collectable. 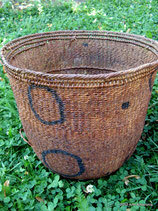 If you are interested in this item, please contact us to check when is our next delivery expected: info@arte-amazonia.com. 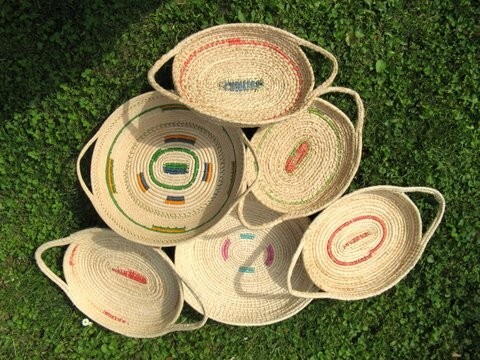 Beautiful, big and colorful basket from the Orinoco. 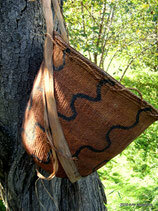 Handmade by the people of the Orinoco - the Hiwi.